this time I would like to announce Limited Giveaway ONLY for SCforum's members provided by our partner Company . Heimdal Pro - Experience the quickest and easiest way to protect yourself and your family from online threats - without all the hassle. From ransomware and financial malware to hackers and private data theft, Heimdal PRO gives you the protection you need to live the life you want. SIMPLY BECAUSE ANTIVIRUS IS NOT ENOUGH! You're most probably already using an antivirus, but here' why you need an extra layer of protection. Antivirus looks for files and actions, whereas Heimdal looks at traffic. When you're already infected, antivirus programs detect if a virus is on your PC and they remove it. But what you need is not to get infected in the first place, so that's where Heimdal kicks in, working proactively to detect and block financial stealing malware. 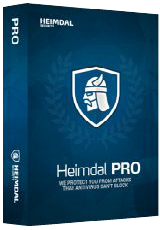 How to get Heimdal PRO? With courtesy of our Sponsor, We have 20 Licenses for SCF members (each of them worth 34€) & We'll distribute them on "first-come, first-served" policy via PM or email. 1. Promote this SCforum's Giveaway on any Social page(s): Twitter, Facebook, Google+, LinkedIn... which you use. 2. Once you have done this, post a reply in to this Topic with included Link to your promotion. I noticed that you already shared information about Giveaway with your Twitter friends: https://twitter.com/ShareMore1/status/660758145111715840 however, you used wrong link & also forgot to copy mentioned link here within your reply. One more thing, you'll get your license key for Heimdal PRO during next Week! Is that the right format for u ? Very generous giveaway @Samker. Like your forum too. Your entries are valid, so you'll also get license keys during a current Week. Later, you'll only need to insert license key and unlock all features. Guys, kindly check your PM. You'll get your licenses in the next few minutes. Thanks again Heimdal & SCF. I received a license. Great! I received my license.